Although being a landlord is a great way to invest in real estate, it comes with hands-on hassles that not everyone wants to deal with. The so-called “plugged toilets in the middle of the night” hassles. Here are a few simple ideas about how you can invest in real estate without those hassles. The biggest difference between being a landlord and other real estate investment strategies is both the time you put in and your financial exposure. As a landlord, everything about the rental property falls on your shoulders. Even if you hire a professional property management company, ultimately all of the responsibility is yours. Real estate investment groups can be described as self-created mutual funds for real estate investing. Often, a real estate investment group grows out of a real estate investment club. There are many different types of real estate clubs. Therefore, you need to understand the objective of a club before joining. Some are educational and networking clubs that bring people together to create opportunities to make deals through networking. These are best if you are looking for new deal or want to stay current on investing strategies. 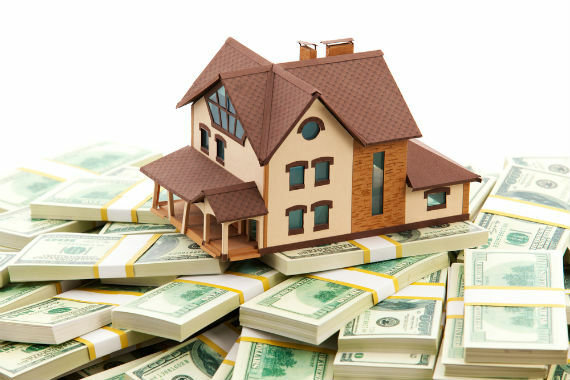 Other real estate investment groups form for the purpose of financially working together as a group. Still, these have several variations. Some just create the opportunity for members to join up in multiple teams to jointly own real estate. Others require all members to contribute financially to a club fund and then the club votes on what investments to make as a whole. The Counselors of Real Estate, an advisory organization that monitors real estate, released its latest report detailing the top 10 issues affecting the real estate industry. This year, the organization divided its annual list to focus on five issues currently impacting the industry and five issues to watch for potential long-term impact over the next three to seven years. Leading the list of current issues to watch is interest rates and the economy. Nahas explained that the issues the real estate industry will see in the future are beginning to happen today. These are the five issues impacting real estate right now: 1. Rising rates and the economy As we saw today, the Fed raised rates for the second time this year. “Rising rates can actually be good – and bad – for the economy,” Nahas told the audience. Housing affordability The group pointed to wage stagnation, gentrification and a low supply of affordable homes and apartments, plus two decades of housing underproduction that has dramatically impacted the residential housing market. “It’s a supply and demand problem,” he said. Additionally, immigration impacts both residential and commercial real estate and affects both urban and suburban areas, Nahas pointed out.